My first 10 Day Challenge was “to eat/drink pristinely for 10 days.” I think I did well. “Pristine” can be left up to interpretation, but in honestly I didn’t mess up. Well other than taking 2 bites of cake at a birthday party. I SWEAR it was more not to be rude than for the love of the cake. Really. No REALLY! Other than that, there was no other cake, candy, chips, cookies, crackers, etc. Nothing fried. Nothing “bad.” It felt good and it wasn’t too hard. I had been slipping here and there previously. I hope those 10 days jump-start better habits. My second 10 day challenge would be kind of embarrassing if I hadn’t seen so many others have trouble with and try to overcome the same (through resolutions or challenges, etc.). It’s… Get this… Drink more water!!! I can’t believe I need to be more mindful of this. On an average day, I don’t drink enough water. I don’t know what it is. I know proper hydration is beneficial for so many things. Overall health, weight loss, brain function, athletic performance, etc. So, today is day 1 of drinking at least 60oz of water a day! It’s not all about being efficient. It’s about focusing on what matters. I’m going to start posting some back of the napkin type posts. I want to try to capture some of my thoughts/ideas on paper, but also display them somehow. What do you think of this one? 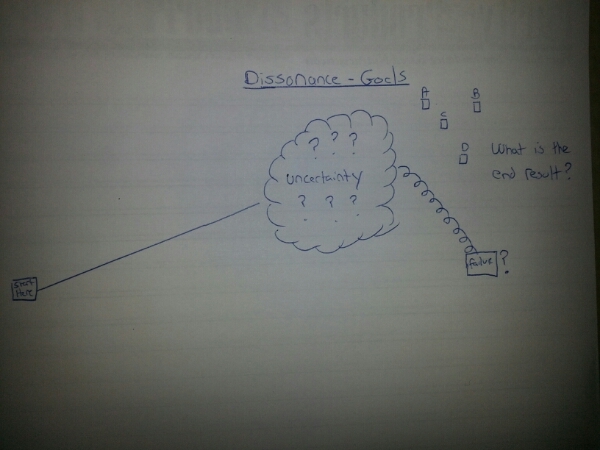 Often pursuits can be fruitless without well defined goals. Also uncertainty, fear, doubt, confusion can often muddle vision. As mentioned in my 2013 “Resolutions” post, one of my “resolutions” (getting sick of the quotes? Yeah me too.) is to do a series of x day challenges to chip away at some habits I want to build. Funny enough… I think the biggest challenge is not to take on too much at once. I feel impatient, but I know if I want habits to stick, I need to take them on one at at time. I need zen like discipline here. My first 10 day challenge is to eat/drink pristinely for 10 days. I have gone on very good streaks before, and some of my healthy eating habits from 2012 and earlier stuck. But I need a good intense focus on this area to start the new year off right. It might be a quick early win I need for some momentum. It’ll also incorporate my cook twice a week goal. My pristine eating consists of following basically the anti-inflammatory diet. I cover more details in my Healthy Living Checklist post. No cake, no cookies, no chips, no candy, no crap. Eat as whole/natural foods as possible. Low sugar, low simple carb. High water. Low caffeine. No artificial sweetener. Low salt. High vegetables. Some fruit. And consume no more than my BMR says I should (calorie counting done thanks to MyFitnessPal). Yesterday was day 1 and a success. It included my Turkey Chili recipe from the Dolce Diet Living Lean. Cooked once so far. Check. One day down. Check. 9 more days left to get this habit back on the rightful track! I can look at my 2012 resolutions in 2 ways. 1) Failure or 2) a road map that presented its share of twists and turns, which ultimately led to overall improvement (in thinking, creativity, effectiveness, focus). I’ll take #2. See what I did there? 😉 In all introspective and non-denial honesty, I learned a lot in 2012. There IS a growing movement of not setting hard-fast goals. For example it might be better for your goal to be “to eat healthy” rather than “to lost 20 pounds.” While I do see the value in that thinking, I still think there should be a target to aim for. Sort of like the old quote, “Aim for perfection, settle for excellence.” But there are very valid points to that thinking and I think it’s kinda sorta where I ended up in 2012. I definitely made headway in a lot of the areas I focused on in 2012. But as I mentioned early on, the pursuits led to learnings that then compelled me to change course. At the minimum, the careful thought and creation of my 2012 resolutions jump-started a more effective and ever evolving personal development path. I think overall (and recently) I learned not to try to be such a perfectionist. Rather I should just go for things and not fear failing or getting things wrong at first. This is where I’ll start for 2013. I hope to carry the non-perfectionist notion into 2013 from day one. Instead of trying to read x number of books or blog posts on y skill before trying it first, I’m going to try first, and rely on books and reference material only when needed. JUST SHIP BABY! I’ve become a fan of Tim Ferriss. Not to digress, but I AM going to follow my “no book rule” and NOT read his 4 Hour Workweek and 4 Hour Body! Instead I’m going to rely on the gist I attain from other sources of learning (for these books and many others), like shorter blog posts or YouTube interviews and presentations. His latest, 4 Hour Chef, was too interesting to resist though–there is a lot of entertainment value (see how I’m justifying the purchase and time investment?). Where was I going with this… His philosophy is to basically apply the 80/20 rule to time and energy when taking on projects/endeavors/etc. Look for the 20% effort that will yield 80% results. I have already started focusing on this. Other than more obvious time/attention wasters like Twitter, Facebook, etc, there are others that creep into the mix that on the surface look like productive activities, but their ROI (time/attention/etc) is very low. 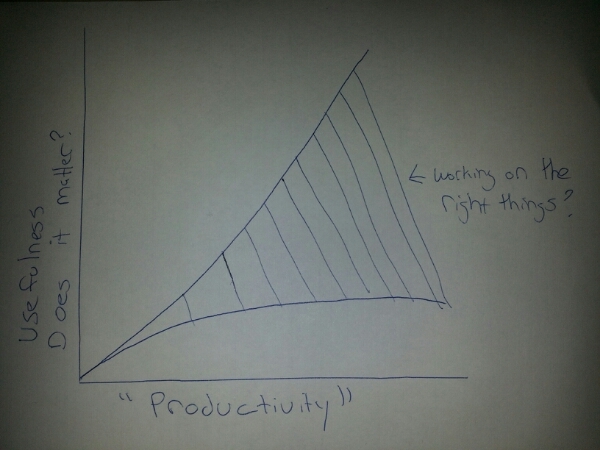 I really catch myself at times being “productive” only to evaluate time I wasted on very low-value/yielding tasks. Speaking of 4 Hour Chef… And goals in general. 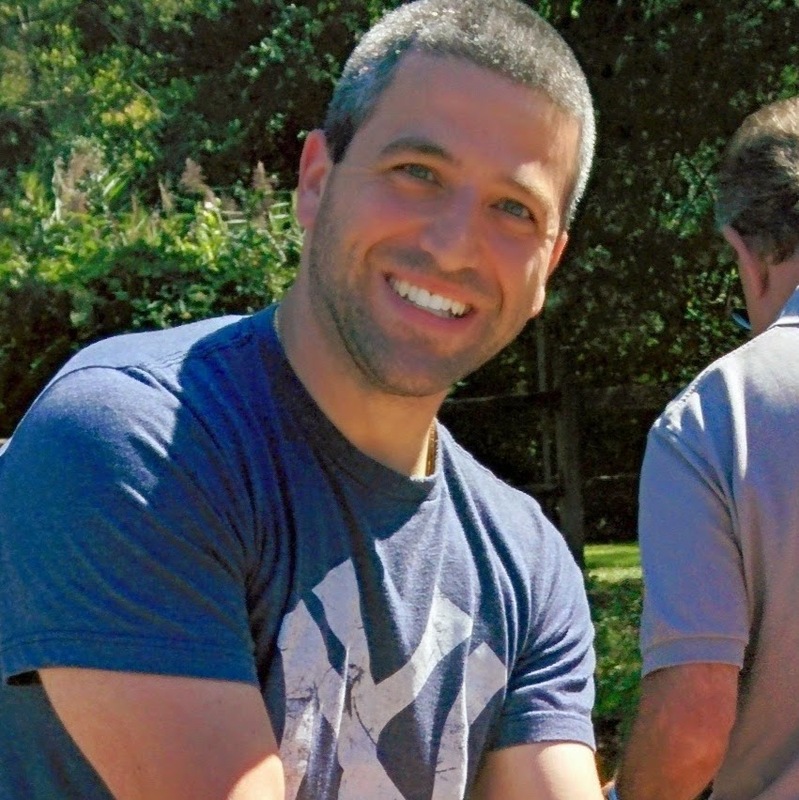 One of my 2012 “failures” was to create a weekly meal plan and stick to it. It was clear early on that the task was a bit overwhelming. Mostly on the shopping front, not the actual cooking front. Just the thought of the monumental task (for me) was enough to feed procrastination and avoidance. I’ve decided to take Ferriss’s advice and start with only 2 meals per week to start. That’s it. And that’s “resolution” #1. Cook 2 healthy meals a week. Hopefully there will be enough leftovers! I did join toastmasters and I did give one speech. So I did dip my toes into that 2012 resolution water. A really bad string of scheduling conflicts, then the birth of baby boy #2 got in the way of attending more. Simply, “resolution” #2 is to give more public speeches in 2013. I will open up an IRA this time. I sort of procrastinated the research on it. I finally understand what I can do and what to do. And I have enough for the minimum required. This is an example of feeling the need to know way too much before taking action. I should have just gone on a lunch hour to Fidelity, instead of feeling to urge to do hours of independent research on IRAs. “Resolution” #3 is to finally open an IRA. I have a long list of outstanding things to do around the house. Nothing major, just little fixes here and there. I had the ambitious goal of finishing one thing a week in 2012. Sure enough new stuff got in the way of old stuff. And a lot remains on the list. I think the mental stress of falling behind led to the ultimate doom of this resolution. This is kind of what Bregman alludes to. “Resolution” #4 is to chip away at the list. Everyone, I mean EVERYONE, who talks, advises, etc. about goals, changing habits, etc. says you will likely fail if you take on too much at once. Better yet, you should really only take on one change at a time. Therefore I’m going to make “resolution” #5 a series of x day challenges. I’ve done 30 day challenges before with varying success. I’m going to spend a little while thinking about dialing the days back a little (maybe 10-15) and firing away at things I want to learn, try, accomplish etc. And perhaps there will be breaks in between. Some for fun. Some development areas. Some are are already in a quasi state of progress now, but desperately need more focus to create a permanent habit. I don’t think the first 4 lend themselves to this… Therefore “resolution” #5 is to do x (tbd # of days) challenges for the following: meditation, exercise, hydration (yes really), sleep (bedtime and wake-up schedule), nutrition/healthy eating, reduce caffeine consumption, do more brain/memory training, and others as I think them up, like x days of eating with only chopsticks or something fun like that. As I mentioned, some of these are in a varying states of habit, but they tend to slip. More dedication and focus one at a time might be in need. There are a few other things on the periphery, which will remain on a soft kind of “radar screen” if you will. They are to get more quality input and inspiration (e.g. going to museums, watching more educational documentaries, etc. ), learn to speed read, and to toy around with “outsourcing” mundane tasks. The outsourcing will have to require that time gained put to the utmost good use. For example, if we hire a housekeeper to tidy up, the time not wasted tidying up will be spend on real valuable areas, like getting more important stuff done, doing volunteer work, doing paid freelance work, etc. NOT watching more reality TV (not that we do anyway). We’ve already ordered groceries from PeaPod, and I’ve already put things on Amazon’s “subscribe and save” autoship. Lets see how 2013 goes! I still haven’t abandoned my new year’s resolutions. But they did take a little turn, which I’ll get into in another post. One resolution was to join, attend, and participate in Toastmasters. Toastmasters is a national organization with local clubs that meet regularly to provide a place for people to improve their public speaking in a supportive setting. The club I found is excellent. There is a range of well seasoned speakers to people like me who need a lot of work. The more seasoned speakers are there to provide advice and feedback to the newer members. Yesterday was my first “icebreaker speech.” I think overall it went well. I’ll have to watch the video they took of it and see for myself. Although I put in a lot of preparation, I should have worked on the speech more over time, rather than fine-tuning it so close to speech time. I think the later additions and subtractions threw me off a little. And the changes I made came after I really started to rehearse. So the learning is to rehearse earlier on, and finalize the speech before the last day. Then rehearse the final version some more. It’s funny they say that after a speech you’ll kick yourself for accidentally leaving things out. That happened to me. There were parts that I completely forgot to say that I think were important in tying the entire speech together better. This is all a learning experience… Again, I think the late changes threw me off a little. I relied only on an outline. I didn’t get stuck or fumble, which is an accomplishment. I wasn’t too nervous either–which is another accomplishment. There was someone there counting “ums” and “ahs,” and I had my fair share. I’m completely ok with that for now. There are other areas I want to improve on first before really honing in on eliminating filler words. I was able to make pretty decent eye contact. Besides improving public speaking and speech in general, I another important thing Toastmaster provides is a setting to purposely get out of my comfort zone. I touched on this a little on my End Scatterbrain site. There is a lot of evidence to suggest that purposely stepping out of your comfort zone does a lot to improve other seemingly unrelated areas of personal development. I’m trying to document all of the areas that I’m zeroing on in my pursuit to think clearly and focused at all times. What I’m learning, and what I’m truly believing, is that the mind, body, and spirit work together in sync and influence areas like focus, concentration, memory and other areas like creativity, happiness, outlook, etc. Many overlap, but I tried below to put some of the tools, strategies, and theories into the 3 different buckets. I’m not necessarily weak in all of these areas, but I do want to keep them in mind and not ignore any. And I will go through exercises even if I think I’m stronger in one area. Because maybe a “jumpstart” in an area of strength can boost an area of weakness. While “spirit” scares some people off, I don’t think it necessarily means a religion or religious practice. The way I see it “spirit” revolves around a life with purpose. Meditation – I haven’t started yet, but will start to spend 20 minutes a day in quiet meditation. Many of the sources I’ve found recommend meditation. Mindfulness – Be conscious of your mood and state at all times. And ask yourself things like, what should (or shouldn’t) I be doing right now. Brain and Memory Games – This might be on the bleeding edge, but I’ve been experimenting with games like dual n-back (and others), which some neuroscientists believe can stimulate and change important parts of your brain. Choice of social circles – Birds of a feather flock together. Do your friends, co-workers, etc. help of hinder your pursuits? 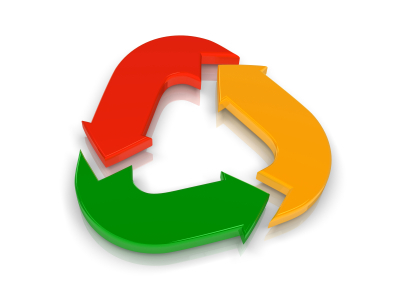 Input and inspiration – Garbage in, garbage out. Fill your head with junk, then junk will come out. Intellectually stimulate the mind, and good things (ideas, etc.) will follow. Exercise – Exercise has been shown to enhance brain function. Nutrition – Certain nutrients (like Vitamin D and Omega 3s) have been shown to enhance brain function. Others (like sugar, especially fructose) have growing evidence that show they are detrimental to overall health and brain health relating to mood, behavior, and habits. Hydration – Drink plenty of water. So simple, but surprisingly I find it hard to stick to. Sleep – Get plenty of sleep. I find this hard to adhere to also. Purpose in life – This can be things big and small. This is a very good place to start when setting goals. Happiness and gratitude – Getting back to the “brain influences the mind, and the mind influences the brain,” studies show that practicing positivity and gratitude influence the “wiring” of the brain–thus influencing the entire cycle in a good way. Examples are keeping a journal or just purposely finding time each day to think about the good things. 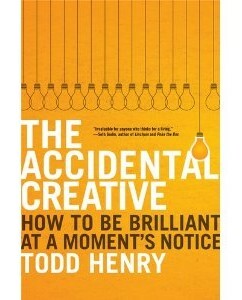 I finished up The Accidental Creative: How to Be Brilliant at a Moment’s Notice, by Todd Henry, recently. I can’t recommend this book enough. My feeling though, is a book of this type can be seen as great or not depending on where you are with your knowledge of the subject at the moment. This one struck (me) while the iron was hot. I had all of the thoughts and feelings floating around in my head, and the book summed them up and articulated them perfectly. It also gave me some actionable advice. First, the book was very well written and flowed very nicely. There wasn’t much fluff if any at all. It drove home points very directly. I find books that get right to the point easy to read and easy to absorb. I also respect that he cited other sources. This is the third book on my scatter brain endeavor. All three books point to the same things you must do to gain focus and concentration (be mindful, deliberate, and have purpose). The Accidental Creative’s premise is that when you gain focus and concentration, creativity will follow. The Accidental Creative in a nutshell revolves around 5 practices (FRESH). Focus – Define your challenges and pick the most important ones to concentrate on. Relationships – Choose your social circles wisely as they influence creativity. Stimuli – Garbage in, garbage out. So choose intellectually stimulating things to enjoy. Create a study plan. Reading list, etc. Have purposeful experiences (cultural, intellectual, etc). Hours – Carve out specific time for purposeful thinking and creative endeavors. It is no surprise to me that these same themes are mentioned in not only the last 3 books I’ve read, but also in a lot of other resources I’m reading too. I guess what this did for me is drive home the theory that creativity depends on focus and concentration. As I mentioned in my last post, I’m done with my discovery phase. No more reading books on focus, concentration, memory, creativity. It’s time to put the other 40 books on hold while I put things into action. Create a reading list of classic books. And read them (duh). Go to museums, art shows, etc. with the family. Come up with a career skills study plan. Define areas/skills where I need to strengthen. Capture ideas in a journal. Define and prioritize challenges (work/company and personal). I’m not sure what this has to do directly with focus and attention, but I thought I’d post it anyway. Scatterbrained or not, I was always a great problem solver. Part of my strength, I think, is not accepting one cause (which may be a symptom). One tool that helps tremendously in getting to a root cause of a problem is to ask why 5 times. So very simply, lets say your car runs out of gas. 3) Why was I in a hurry? I woke up late. 4) Why did I wake up late? I went to bed very late. That’s a very simple example. In practice, you probably won’t use it on such examples, rather in that case you can say to prevent running out of gas when I’m late, let me never go under 1/4 full. So rather than saying the partying caused me to run out of gas (which it did), I would say that carelessness did. I did kinda sorta put this exercise on myself and challenges I faced and signs that would not normally be brought to light kept bubbling up to the top. Like focus, concentration, and attention. Try putting 5 whys to work for you.